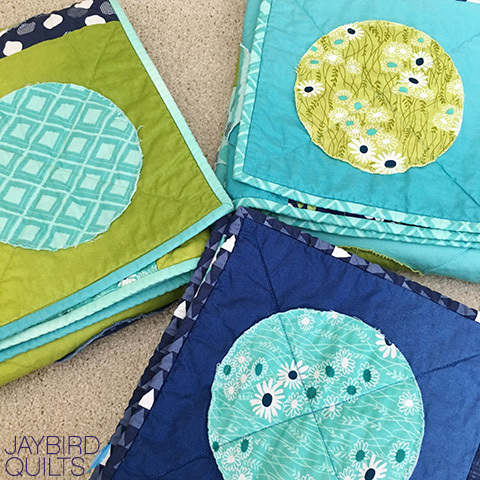 I had a set of three baby quilts to make on my list of quilt gifts to make & give this summer. And then I got my hands on a set of three different Warm Company battings: Warm & Natural, Warm & White, and Warm 100. 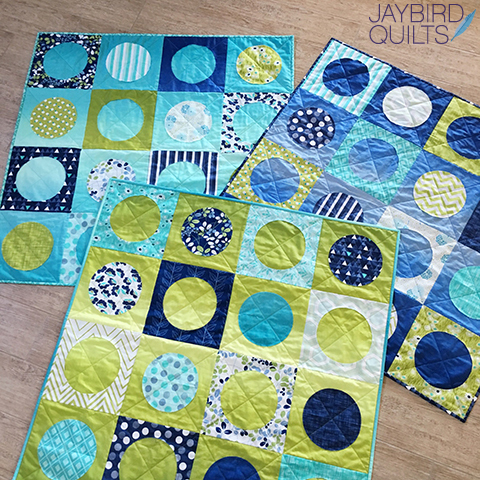 So I figured I'd do an experiment with the quilts to compare the performance of the battings. 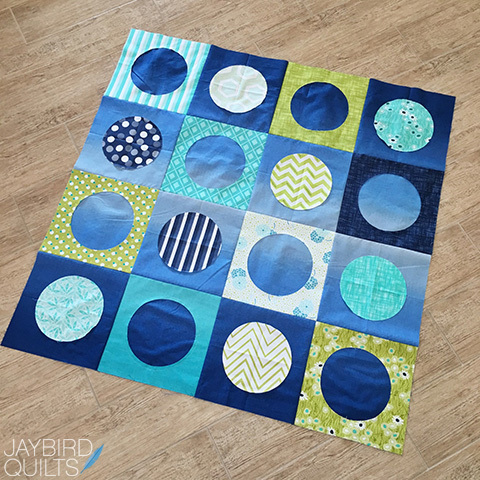 Getting ready to sew my Dot Party quilt blocks. I love how fast it is to whip up one of these. 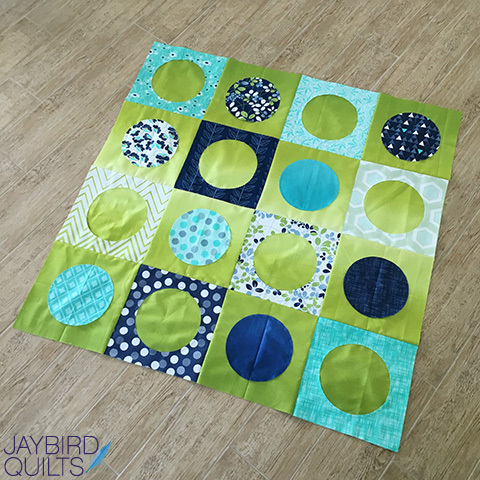 Now I've got 3 Dot Party quilt tops: Navy, Aqua & Green. 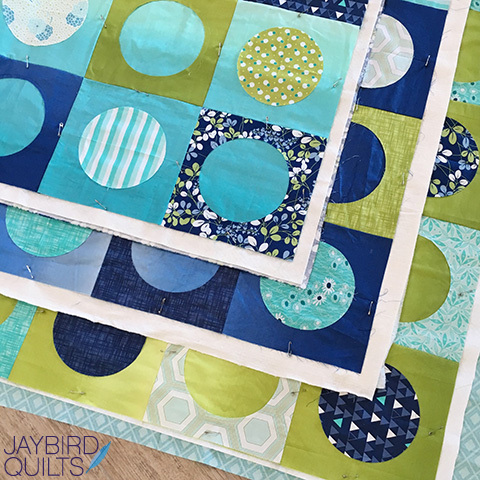 Here are the 3 quilt tops with the 3 different battings that I tested out, a different one for each quilt to compare the results. Here's a close up of the 3 battings I used for my Dot Party quilt batting comparison. All 3 of my baby size Dot Party quilts basted & ready for quilting. All 3 finished Dot Party quilts after quilting + binding, before washing. 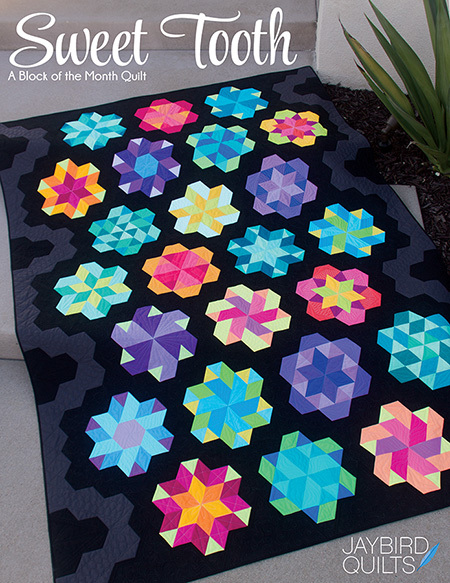 I kept the quilting simple with diagonal lines across the quilt in the middle of each block. I love binding. If you look close you may notice that I bound these by machine. 95% of the time I bind by hand. So why did I bind these by machine? 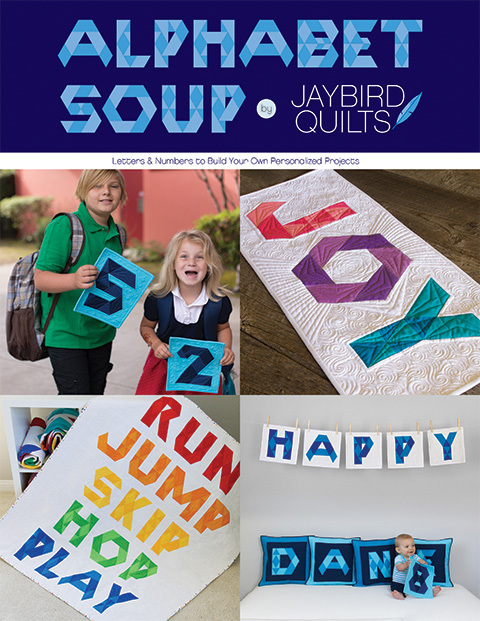 I've found that baby quilts are generally washed more than most quilts & occasionally binding stitches will come out. The last thing I want to do is give a gift that needs to be repaired often. Now it's time to wash them & see how each of the battings perform. The quilts are washed. 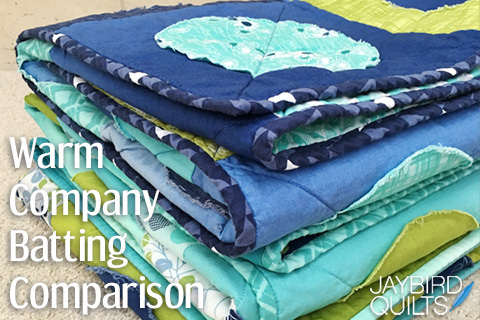 Here is the info on how the size of each one changed over the course of quilting & washing. Quilt top - 38.5" x 38.5"
After quilting - 38.25" x 38.25"
After washing - 36.5" x 35.75"
After washing - 36.5" x 36.25"
After washing - 36.5" x 36"
The quilt with Warm & Natural shrunk the least. The quilt with Warm 100 was in the middle. 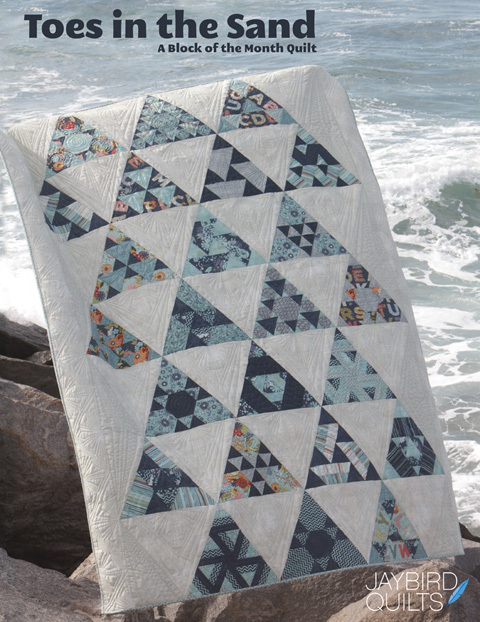 The quilt with Warm & White shrunk the most. 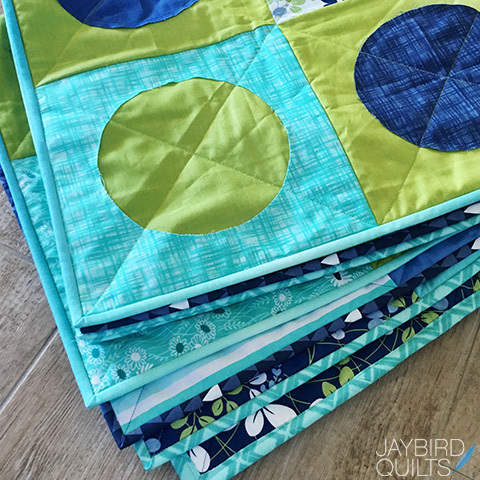 All quilts were washed together in cold water using Soak Wash. Then they were put in the dryer on medium heat because I like the crinkled effect from the higher heat setting in the dryer with this quilt pattern. The quilts all feel pretty similar at this point. If I hadn't marked down which batting was in which one, I might not be able to tell them apart. 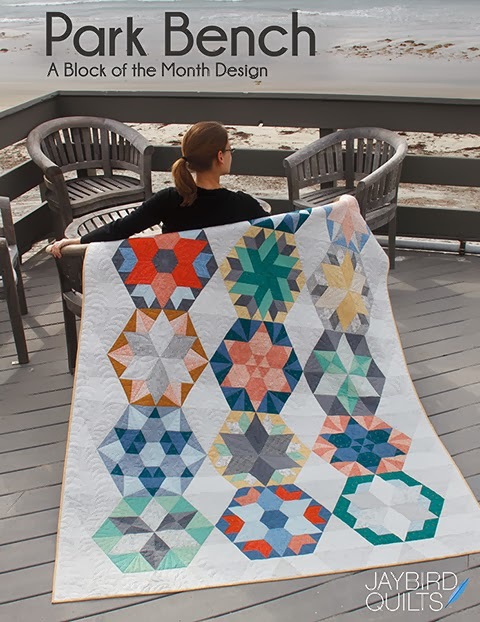 It's possible that more detailed quilting would have different results. The Warm 100 was much smoother out of the package & was one of the softest battings I've ever felt. I like that the Warm100 has a 100% cotton scrim. It means that my projects can be 100% cotton. I use 100% cotton fabrics. I use 100% cotton threads. I can now use 100% cotton batting. I hope you enjoyed this batting comparison! 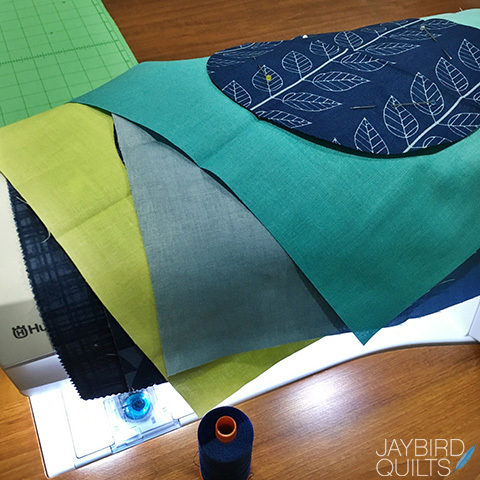 Search #JaybirdQuiltsProTip on Instagram and Facebook to see a few more of my favorite sewing tips. Hi,I love all three too! Love all cotton for the old-fashioned crinkle! THANKS for sharing your test! Thanks so much for writing up the blog post. It will be so easy to find for future reference! I am very curious as to where you got the Warm 100. I haven't seen it and can't find it for sale online either. Thank you for this! I have yet to try the Warm 100 ... Thanks for the reminder. Very, very interesting! I have been thinking about other battings (warm and natural is my standard). I too would love to be able to say 100% cotton! Did you prewash all the fabric? 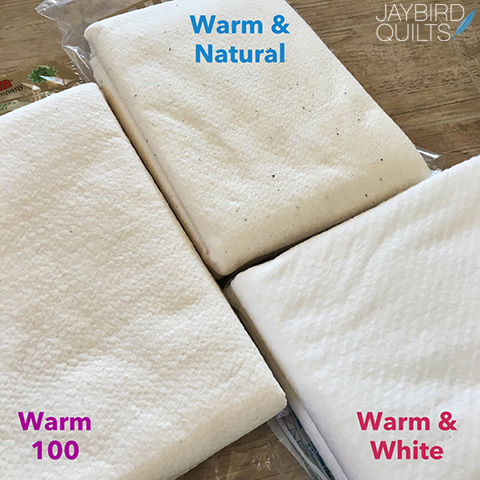 I love warm and white for most of my quilts. I did not realize that it shrinks quite that much tho. My fallback is warm and natural. 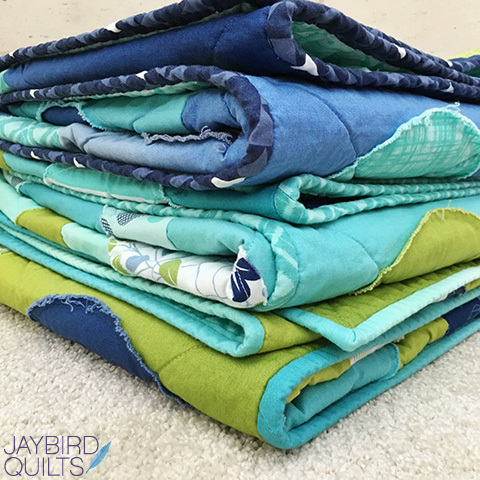 I have tried other batts with no scrim and they tend to bunch up on less dense quilting after a few washes. I loooooooove your designs. I am teaching the seaside runner as a class so I would love the gazebo pack. I can be reached at aussieluv@icloud.com. I LOVE Warm and Natural batting. I use it in almost all of my projects, big and small. 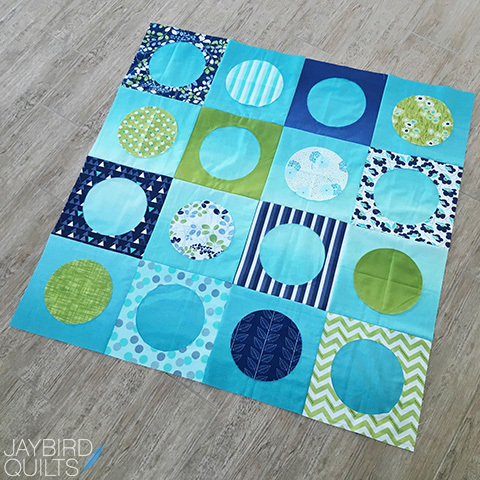 If I do a big quilt, I save what I cut off the quilt after quilting to use in small projects. I haven't tried the "White" option; I use the "Natural" color the most. It's so helpful to see via your experiment the differences among the three types in the final projects. I love the Gazebo kit; that would be fun to make. Thanks for the giveaway and good luck to all. I use Warm and Natural or Warm and White exclusively. I love the Gazebo and the Seaside packs. Hi thanks for the great batting comparison! 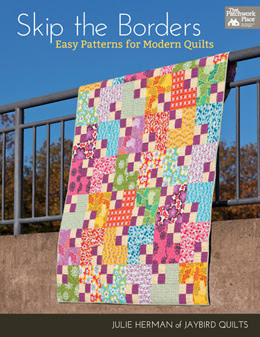 Your dotty pattern is so cute, do you have a tuitorial for it or pattern for sale? Warm and natural I have used in the past but am interested in using the white option! i love that you did this. i was so disappointed recently when i found out warm and natural has poly in it. i swear i checked way back when i started using it and it said 100% cotton. is the 100 the "plush" one? 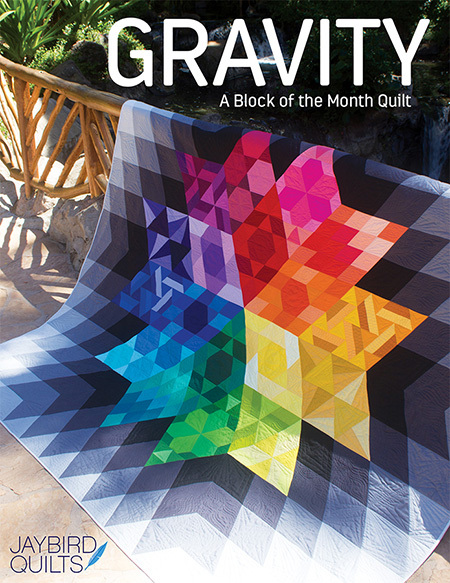 i will give it a go in my next quilt. i hope they dont just make this a temporary thing. i to only use 100 cotton fabric, batting and thread. thanks! 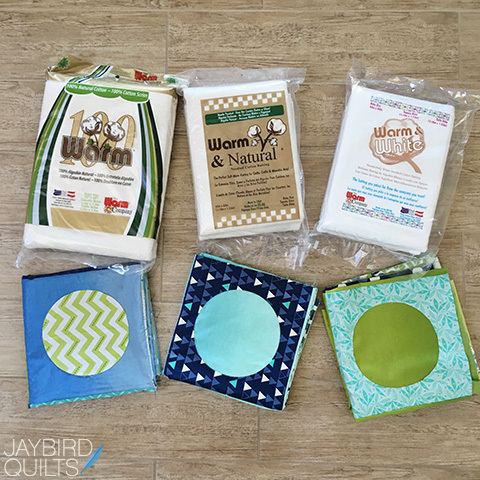 Julie, which one would you recommend for someone who usually hand quilts, I have never done a lot of machine quilting yet, and have always used warm and natural since I found it instead of the bulky polyester stuff I used for the first few quilts when I started out.